Carthage, Tennessee's favorite son was Senator Al Gore Sr. Then, Al Gore Jr. came along and became a Congressman, Senator, Vice President and finally Democratic Presidential nominee. This store, which is also a shoe store, has been displaying and selling Al Gore stuff. I first saw this place about 1992 when it said "Clinton Gore Store" on the window, but now it says "Gore Lieberman Store" on the window, although I see no Lieberman stuff in here. This is located across the street from the Smith County Courthouse on Main St. in the town square. Buttons, hats, T-shirts, plates, mugs, post cards, watches and socks. 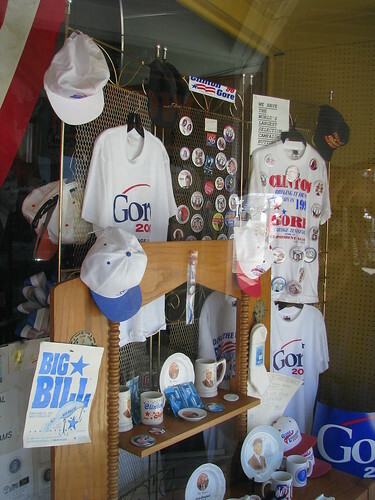 In the top right is a sign that says "We have the largest selection of Campaign Buttons anywhere." My favorite thing here is the "Big Bill" flyer in the bottom left. It's for a fishing lure with the tagline "Fish Take it...but don't inhale it." This home is also known as the Johns-King Home is in Smyrna, TN and not far from Old Jefferson. 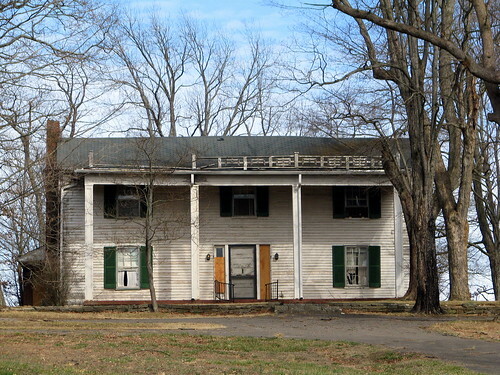 It was recently Identified by the Murfreesboro Post as one of the top 10 endangered historic sites in Rutherford County. Of the 2 vacated General Hospitals near each other, this is the newer one. My mother-in-law worked there for over a decade and said the employees would gather on the roof for the July 4th fireworks. I told her that I hope nobody ever fell off the roof and rolled into the Cumberland. Since this photo was taken, this is no longer a hospital as real estate developers turn the property on Rolling Mill Hill into condominiums. Goo-Goo Clusters are a uniquely Middle Tennesseean confection. Made by the Standard Candy Company since 1903, it is easily their most popular candy. Since then, they have also started to manufacture the King Leo peppermint candy and Stuckey's Pecan Roll. As a young student about 25 years ago, I remember a class field trip to their manufacturing facility. 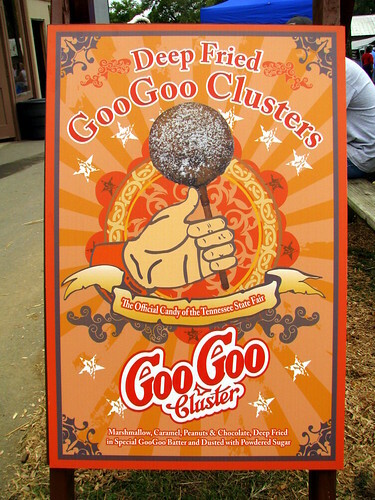 Deep Fried Goo-Goo Clusters were the official candy of the 2008 TN State Fair. You know you're at a southern fair or festival if you see something deep fried. Other vendors offered deep fried Snickers and Milky Ways. I think this poster is Groovy and surreal in a 70's kind of way. 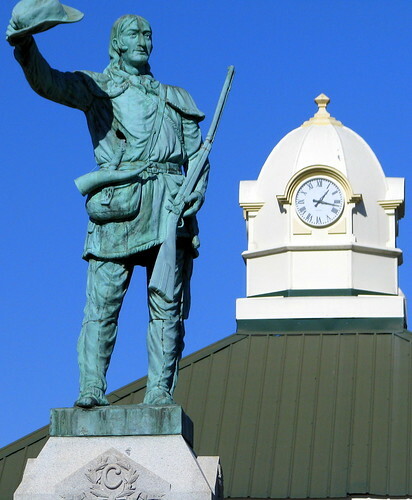 The backdrop for the Crockett statue used to be the county courthouse, until the 70's when it was removed. Now, most of the square is a grassy area, with a large pavillion in the center. The clock tower atop the pavillion is seen behind the statue. Also, notice the C for Crockett logo on the statue. 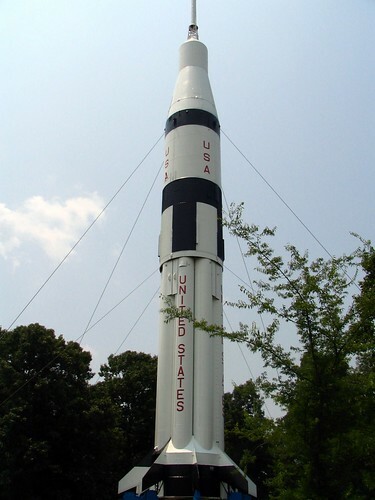 If you've never driven Interstate 65 south across the Alabama border, then this rocket will catch you offguard. When you get up close, you see that it is at a Rest Area. It's the Saturn IB rocket, and I suppose it came from the Huntsville NASA base. I decided to upload this picture today after seeing this rocket in an ad for chevrolet in the Dec. 1963 issue of Life Magazine. While not the feature attraction at Virgin Falls State Natural Area in White County, TN, Big Laurel Falls is impressive in it's own right. Water plunges 30+ feat onto large boulders, and instead of flowing off, the water is completely absorbed into the ground. Also, a large amphitheater-style cave is behind the waterfall. As a point of reference on how big this is, that's my wife near the base of the waterfall. This is a barn that you see when you leave the Sequoyah Caverns in Dekalb County, Alabama. This is at the junction of Highways U.S. 11 and County Rd 731. 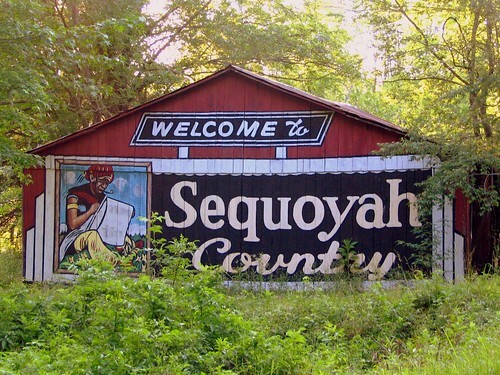 The front of this barn marks the turn into Sequoyah Caverns which I showed on this blog yesterday. If you have trouble making out the paint, this is what you have: In the center on a pole is a faded sign for U.S. Highway 11. Since the paint is peeling, you can see that it used to be a sign for Phillips 66. If you go north, you are 877 from New York, NY (or about 40 to Chattanooga, TN). If you turn right and go south, you are 462 miles to New Orleans, LA. This barn also hasn't been used as a barn in a long time, as you can tell by the overgrowth around it. This barn marks the turn to get to Sequoyah Caverns (AL 731) in Dekalb County, Alabama. 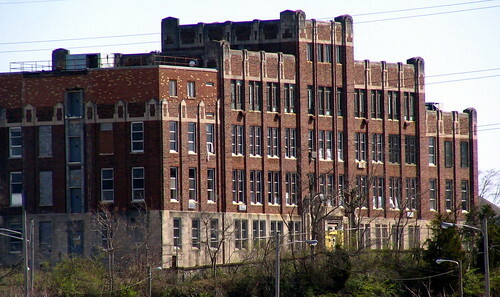 This is visible from Highway U.S. 11, whcih runs from Birmingham to Chattanooga. most of the U.S. 11 traffic now would take Interstate 59, which is only a few feet from here as the road to the Caverns crosses over it. 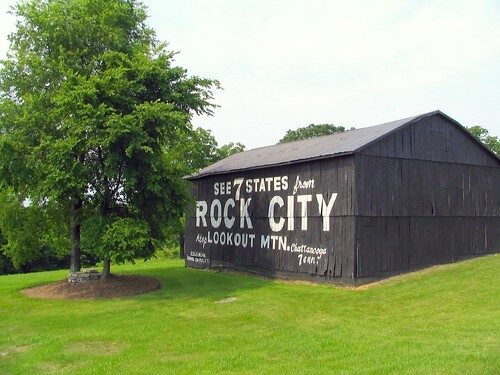 Clark Byers, who was the famous first painter of all the Rock City Barns, when he retired from Rock City, was brought on to run Sequoyah Caverns. He painted this barn, as well as another 3 or 4 that I found in the area. 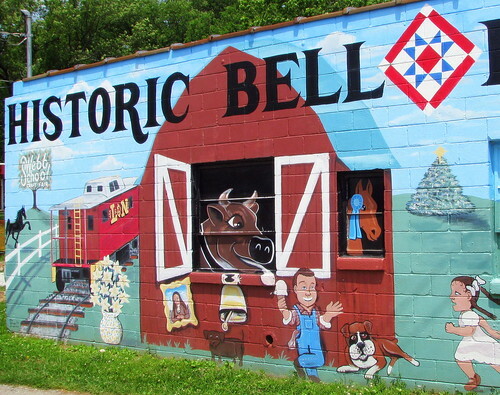 He also painted the other side of this barn, which you would see when leaving the Caverns. That picture will be shown here tomorrow! Great Mural - Tough to photograph location as this is sort of facing an alley. 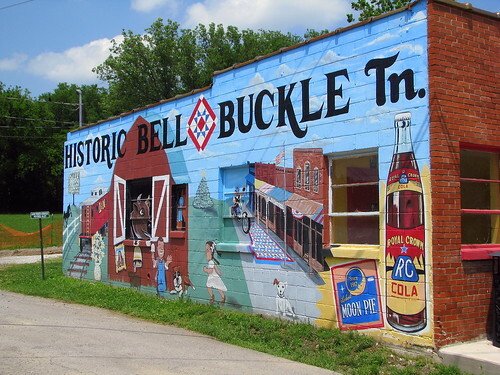 Bell Buckle is now home to the famous RC Cola and Moon Pie festival which takes place on a Saturday in June. I plan on being there, but it's also good to visit the small town and enjoy the charm on a day when a large number of people don't show up. I split the mural in half and show those two photos below. On the far left is a black TN Walking horse. In the tree, it mentions WEBB School, the city's most famous school. Next is the city's red L&N Train caboose. Having to work two windows into the mural, the red barn is painted with two windows. In the mian window is a cow with a bell hanging out the window. The cow is licking the boys ice cream cone. In the other window is a blue ribbon winning TN walking horse. On the left of this picture is a christmas tree. Next is a motorcyclist driving up to the row of stores (mostly antique stores) that make up the center of town. The back of these stores are behind me. In the center of the parking area is the red white and blue quilt pattern. The tallest building with the flag in front of it is the town hall. 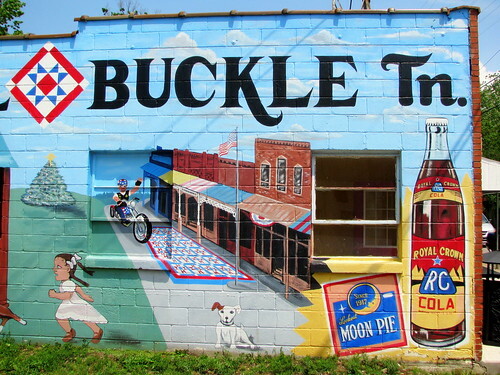 The lookout Moon Pie has been made in Chattanooga Since 1917. If there's any other brand, I haven't seen it. I hadn't bought a moon pie in many years, and didn't even know there were new flavors of Orange, Lemon and Strawberry. The guy in the store said those flavors had been around for over a decade as I paid 75 cents for a double decker orange moon pie, not realizing I could get one for half that price at most other places in the south. Later, I bought a box of 12 at walmart for $3. Finally is a vintage bottle of Royal Crown Cola. I'd never seen that old design before, until I was in the store with the 75 cent moon pies, as they had these vintage bottles of RC for over $100. I fully expect to pay $2 for a current bottle of RC at the festival, at which point, I won't desire another RC for another year. 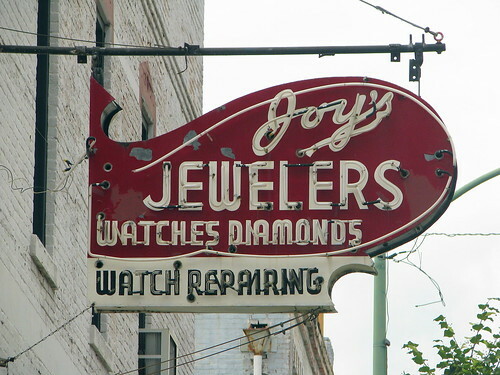 It seems to me like Jewelers are the only ones that use the present progressive tense on their signs, as if they've been working on the same watch for a while. Rock Island was already a scenic location, and home to the Great Falls when a dam was added to the Caney Fork River in 1916. Although the waterfall you see here is not man-made, it is the direct result of human action, and is nature's response. 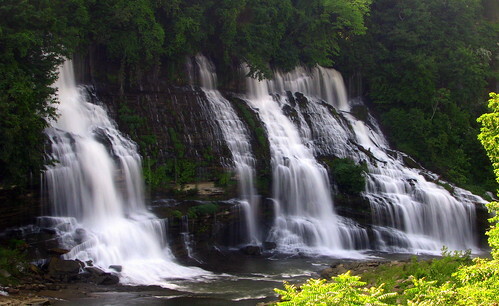 The creation of the Great Falls Dam, caused the Caney Fork and nearby Collins River to rise. This unexpectadly caused water from the Collins River to dig through the rock (perhaps helped by caves that were already there) to form this waterfall. This "leak" now turns into a 65-to-80 foot segmented cataract. There were early attempts by engineers to plug the hole, but then leaks developed elsewhere. Then, the engineers decided to leave it as is, but still monitor the area to make sure the hill won't collapse. In this building, then a combination saloon and grocery, W.W. Earthman, magistrate and ex-constable of Davidson County, on March 25, 1881, arrested Bill Ryan, alias Tom Hill, ruthless and indiscreet member of the gang, members of which were living in the Edgefield neighborhood. Frank and Jesse James and their families left the Nashville area the next day. 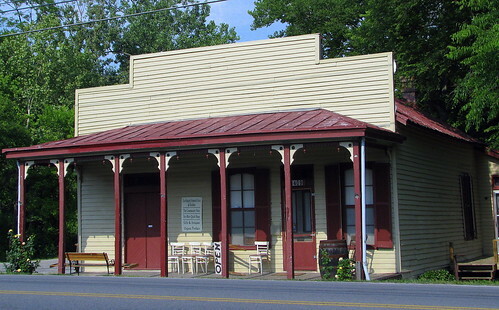 This building is on the National Register of Historic Places as part of the White's Creek Historic District, and is located on highway US431 near Old Hickory Blvd. 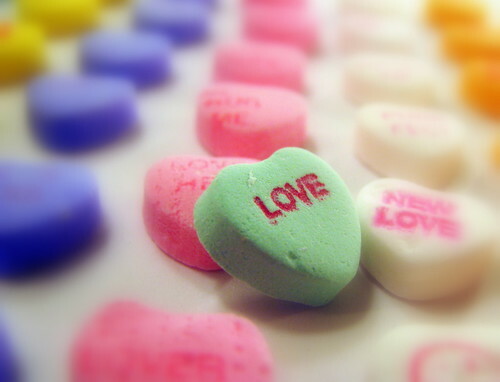 Today, we'll take a break from the usual postings so that I can wish you a Happy Valentine's Day. I suppose If I wanted to, I could have posted a picture of the home of Valentine Sevier, but I'll save that for another day. After becoming a hero in WWI, Sgt. Alvin York returned home via this depot. With that in mind, this depot was used for a scene about that in the 1941 Gary Cooper movie Sergeant York . 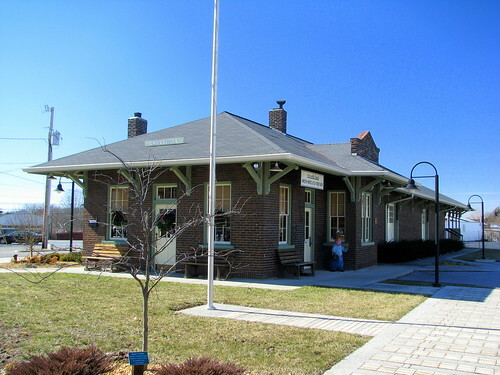 Although the tracks are long gone, this depot is well maintained and is used as a gift shop where, anong other things, you can purchase a DVD of Seargent York. Known to be one of the oldest houses remaining from the early American Era, originally located on Cane Ridge Road at Antioch, Tennessee. The Materials were removed piece-by-piece and rebuilt exactly as it stood when occupied by the Carper Generations. Donated to Woodlawn Memorial Park for Historic Preservation by the children of William Washington and Susie Black Carper. This is on land once occupied by Governor Aaron V. Brown (Gov of TN in the 1840s). A historical marker says: "Melrose. Former Home of Gov. Aaron V. Brown. The Confederate Works ran 200 yards south of the residence. Thence turned west so as to pass in front of Berry Home." In the 1960's Lillian and George Forehand bought the property, cleaned up this Springhouse, converted the Gov. Brown's residence into a newer property, had this and another historic cabin moved here, contructed a pond that ducks and bass enjoy and posted historical markers for the buildings. 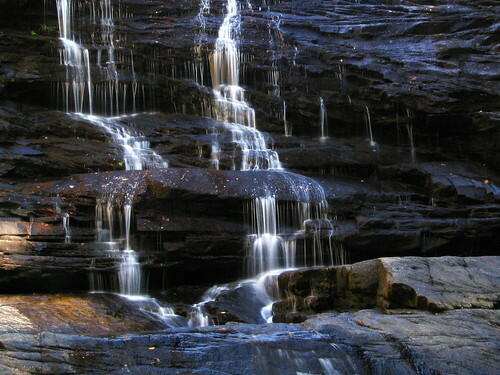 This is the Cane Creek Cascades at Fall Creek Falls State Park in Van Buren County, TN. Normally, there is much more water going through this. One park employee told me this is the driest she had ever seen it. This waterfall is easily accessible from the Betty Dunn Nature Center at the entrance to the park and is the one that the swinging bridge crosses over. A few segments remain. 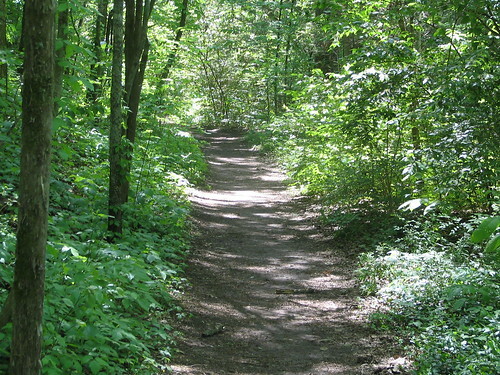 The Natchez Trace was the method of travel for some, connecting Nashville, Tn to Natchez, MS. Officially established by Congress in the year 1800 as a national route, Andrew Jackson and his troops marched through here and back for the war of 1812. This segment is still available for visit in Nashville at Warner Park. All of the trail through the park is still available for walking, although this specific segment is not on a trail map and is less travelled. It ends at a closed-for-decades street at the 200 year old Devon Farm. 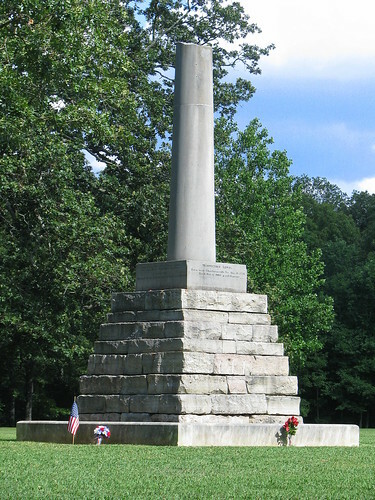 Kentuckyan Harrison Mayes survived a mining accident and spent much of the rest of his life making crosses like this one and placing them on major roads all throughout the country. 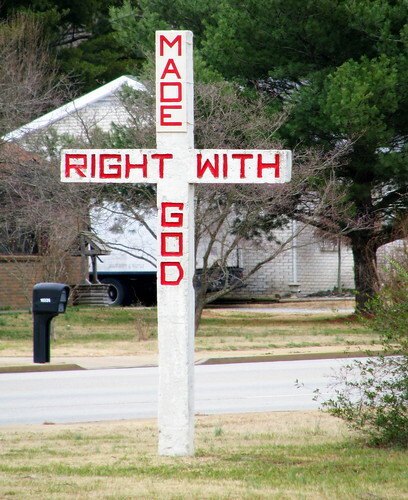 This sign probably originally said "Get Right With God" but I have no idea why there's a change. 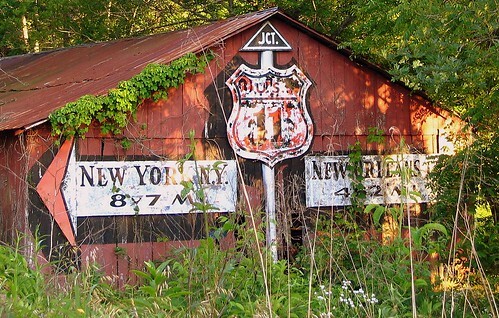 This sign is in Smyrna, TN and located on the Old Nashville Highway, which is a 150+ year old road connecting Nashville to Murfreesboro and eventually became part of the Dixie Highway. The other side says Jesus is Coming Soon. These signs, made of concrete, usually weigh 1400 pounds. For more information, see Jacob K's Set or This website. There is also a section at the Museum of Appalachia in Norris, TN dedicated to the work of Mr. Mayes. 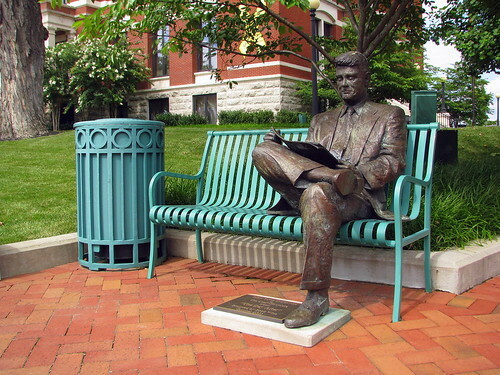 Statue sponsored by Main Street Clarksville & The Leaf Chronicle. Sculpted by Scott Wise, October 2003. The Montgomery County Courthouse is in the background. Dedicated to the restoration following the 1999 tornado. These were made in 1930 by the G. Mattei Plaster Relief Ornamental Company to promote the Polar Bear Frozen Custard Shops. They had a couple of stands in Nashville, and each stand had two snowball throwing polar bears. The Ice cream stands disappeared but the polar bear statues stayed behind. One of the statues made its way to Germantown, one I don't know what happened to, but the other two ended up in front of someone's house in the Edgehill neighborhood in the 1940's. These 600-pound, five-and-a-half foot bears were purchased by Zema Hill in the 1940s, who placed them in front of a residence at 1408 Edgehill where they remained for more than 50 years. New owners of the house decided to sell them around 2006. Perhaps they didn't like the stares they'd get from unaware passerbys or perhaps they got annoyed when people would try to steal them, not realizing how heavy they were and only being able to knock them over. Area residents were afraid they would lose their local treasure and urged the city to purchase the two bears. 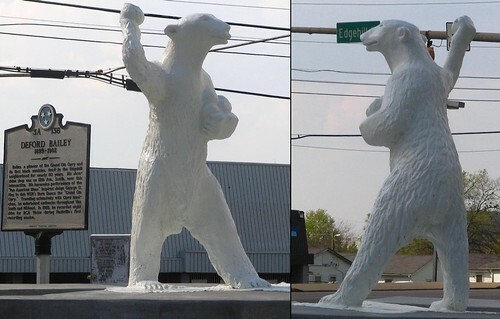 In May of 2007, Polar Bear Plaza was unveiled at the corner of Edgehill and 12th Avenue in front of a retirement home. Apparently, they get decorated at Christmastime. by the way, the historical marker on the left is for Grand Ole Opry member Deford Bailey. This is Foster Falls as seen from the observation deck, which is only a few hundred feet from the parking lot. 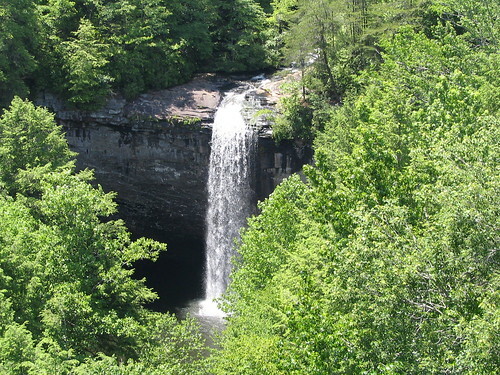 Foster Falls is located on Highway 41 between Tracy City and Jasper in Marion County. 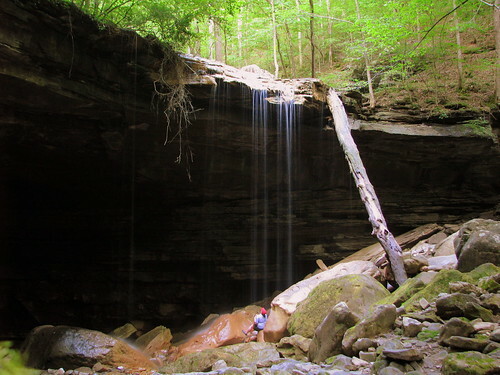 Foster Falls is under the oversight of Tennessee State Parks as a part of the South Cumberland State Park. Little Gizzard Creek plunges about 60 feet into Robinson Cove below where it is surrounded by 120-foot sandstone cliffs. This view is one of the easiest accessible waterfall views in the state from this deck and there is a trail that allows you to reach the bottom near a swimming area and another trail that provides additional ridgetop vistas. This area also provided for one of the best rock climbing routes in the state. 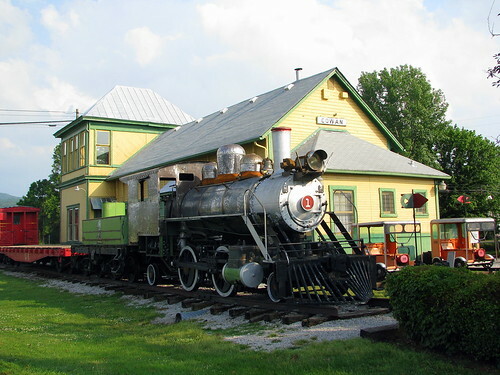 Steam Locomotive #1 has been the highlight of the Cowan Railroad Museum for many years. It's a Columbia Type 2-4-2. It was built by Porter in 1920 as a tenderless Tank style locomotive and converted with a small homemade tender and had the saddle tank removed. The cab used to contain a small coal bunker. The Engine was functional around Charleston, SC until 1964 when it was sold to the Tennessee Valley Railroad Museum. 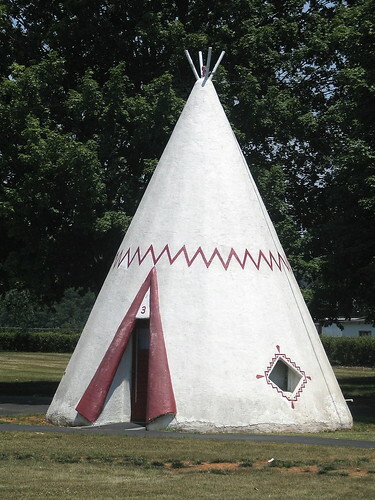 Then, was sold to the Cowan museum in 1979. I had always heard about the place like this along Route 66, but didn't know that there was one near Mammoth Cave until a couple of years ago. This is just north of the center of Cave City, KY along highway U.S. 31W, which was part of the Dixie Highway way back when. There used to be several of these in touristy areas around the country, but now only this one and the one along Route 66 remain. My wife and I have often talked about actually staying in one of these, but they seem to be already booked the weekends we want to go. If you plan on ever visiting a place like this, you would be going to relive a piece of golden age of car travel Americana and not because you wanted 4 star accomidations. 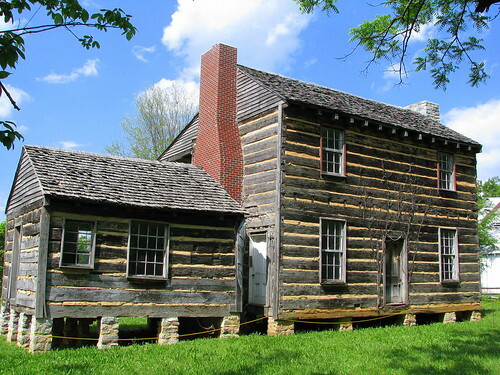 part of the Rutherford County traveller's guide to log architecture. 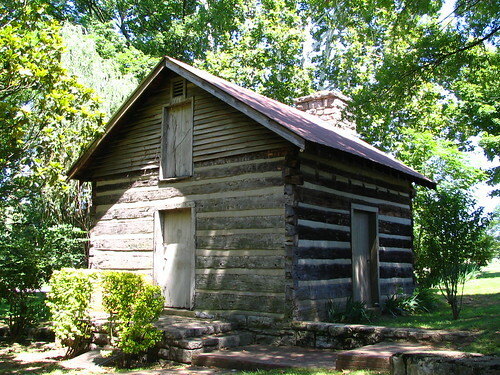 Sam Davis was born in the log home in 1842. This home was located off Almaville Pike but was moved the the "Sam Davis Home" historic site in Smyrna. 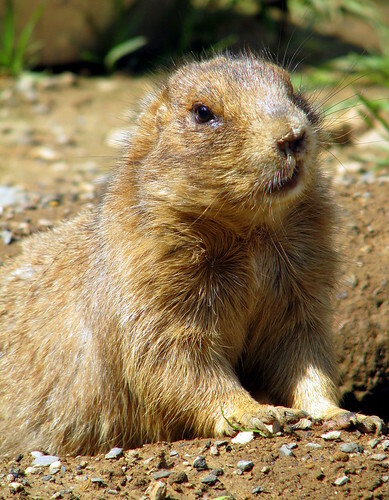 OK, so this is a prairie dog and not a ground hog. I just don't have any pictures of a groundhog. I used to live in Antioch and there was a groundhog that lived up a hill just off of Mill Creek. Sometimes, I wonder why zoos go to the trouble of building displays for common animals, like both the Knoxville and Chattanooga zoos have done for the prarie dog. Then, I remember that I've never gotten a photo this good of a prarie dog in the wild. 231.5 Mi. Via Gravel Switch,KY. Here is an example of one of the newer Rock City barns. The Rock City people do maintain and repaint some of the older barns, but there are a couple of clues that this is a newer barn. 1) The "font" or shape of the letters is different from the older Clark Byers barns. 2) the location: Instead of being on a major highway which will take you in the direction of Chattanooga, it is located near the entrance of Maker's Mark Distillery near Loretto, KY in Marion co.